Pokémon GO is quite different from the mainline Pokémon games, but the driving mantra between the two titles remains the same: Gotta catch 'em all, gotta catch 'em all. Plenty of Pokémon players have nabbed every critter across the Game Boy, Nintendo DS, and Nintendo 3DS releases, and doing so is an accomplishment unto itself. But Pokémon-hunting in Pokémon GO is a truly monumental task, as travelling through the monsters' territory takes a lot of footwork. Moreover, some wild Pokémon are exclusive to certain parts of the world (Tauros can only be found in North America, Farfetch'd is in Asia, Kangaskhan is in Australia, and – shudder – Mr Mime is in Europe), and since GO players can't trade Pokémon yet, you can't fill out your roster thusly. Nevertheless, the difficulty of Pokémon-hunting in Pokémon GO hasn't been enough to keep certain players down. Several players profess they've caught all the Pokémon currently available in the app. Sam Clark from the UK recently rounded out his PokéDex after playing the game nearly non-stop since its July 6 launch. He caught region-specific Pokémon by hatching them from eggs, which required a lot of walking. And while Clark gained Pokémon, he lost nearly thirty pounds. Representing North American Pokémon trainers is Robert R Wallace, a Hawaii resident with a PokéDex count of 145. Like Clark, Wallace hatched rare region-specific Pokémon, though he had to travel to the mainland (California specifically) to nab Tauros. He aims to give away his rare Pokemon to younger players once Nianic implements trainer-to-trainer trading. Wait a minute – "PokéDex count of 145?" Yep. Don't forget, Pokemon GO's roster isn't quite complete. There's still no way to catch Mew, Mewtwo, or the three legendary birds (Articuno, Zapdos, Moltres). To date, nobody's seen Ditto's adorably blank face either. Japan nearly lapsed into small-scale anarchy after a prankster claimed to have caught Mewtwo in a park, but it was a ruse. Meanwhile, I've only just managed to take my first Gym. Niantic probably has something special in mind for GO's top-tier Pokémon, but we don't know much at this point. However, Niantic did confirm at San Diego Comic-Con that the recently-revealed leaders of Team Valor, Team Mystic, and Team Instinct are tied into the legendary birds that represent the three tribes. Hopefully these success stories inspire you to get out there and fill out your own PokéDex. If all that walking doesn't appeal to you (it is currently face-meltingly hot in this part of the world, after all), you can try the infamous ceiling fan hack. Just, uh, be careful with that. 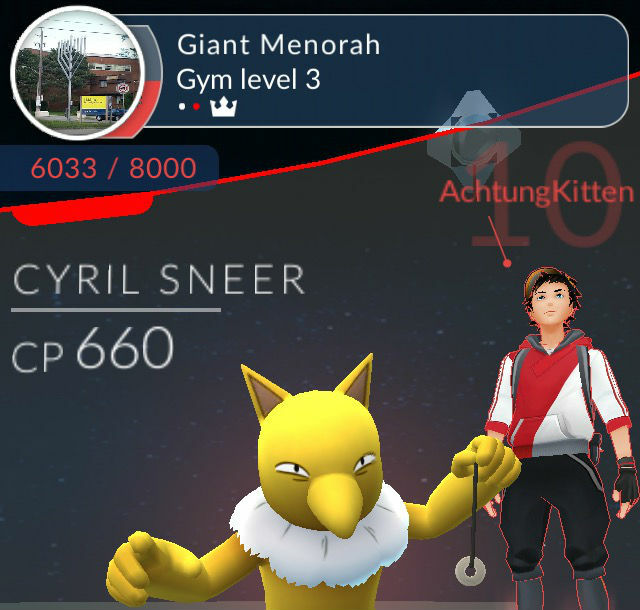 How's your PokéDex count currently looking? Tagged with AR,	MMOs,	News,	Niantic,	Pokemon.